Why work at home, when you can work at Roam. Check out the new co-working app where hospitality meets functionality. 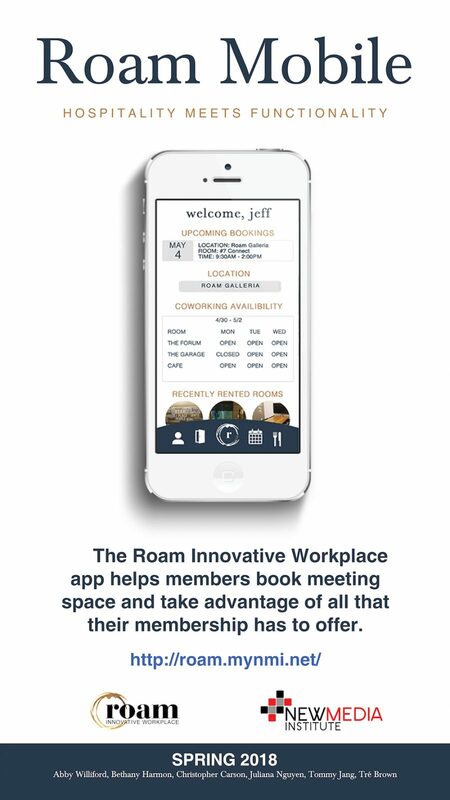 The Roam Innovative Workplace app allows members use Roam’s co-working spaces easily and efficiently. The app streamlines components that Roam offers on their website while adding new functionalities that bring the Roam experience to life on their members’ devices. With the help of the team at Roam Innovative Workplace, we have created a usable design that is welcoming, clean, and embodies the message of “hospitality meets functionality.” With Roam users in mind, all of the assets were carefully selected to meet the needs of the consumer, while highlighting the product’s functionality.